Lest I get accused again of not giving him proper credit, please take note that Daniel Woods has made a quick second ascent of Dave Graham’s recently completed proposed V15 Bridge Of Ashes at Elkland in Estes Park, CO. This according to this picture posted by Bearcam Media on Instagram. 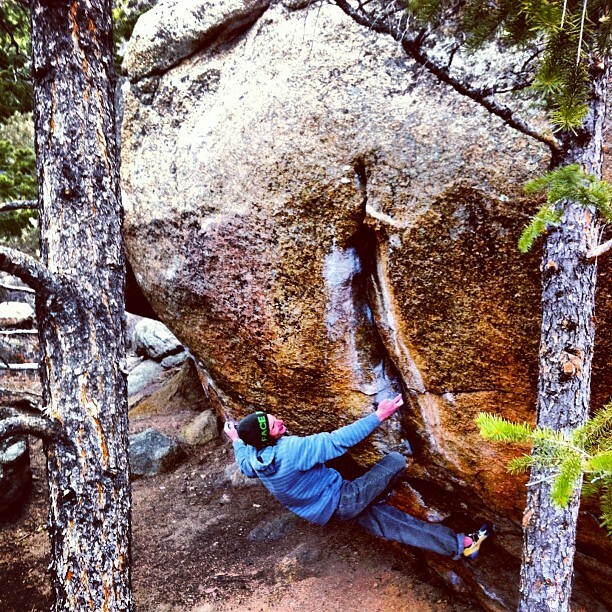 No word yet on the grade, but the last two lines of this post on B3Bouldering sound about right to me. Off the chain. I’m looking forward to seeing some footage of this one. Perhaps the comment was a bit tongue-in-cheek? Maybe Emerson’s post set it up to sound to an outside reader more serious than it really was meant to be . . . I think B3 got the context about right. The person who posted this to FB is often quite cynical about events, particularly on their twitter account.